I live with a woman who is the most incredible chef. 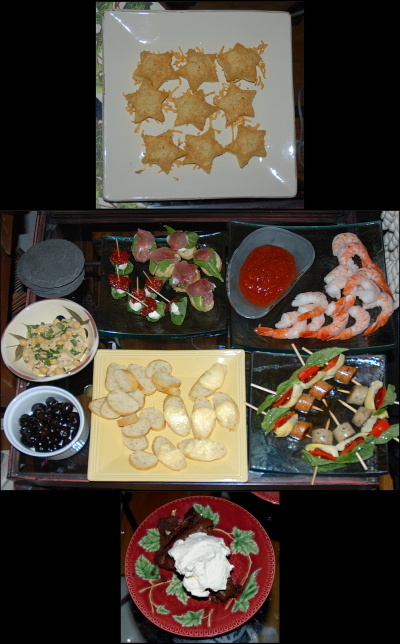 This was her three-course appetizer selection for us to eat while watching the Oscars on Sunday evening, February 22. I am constantly amazed by her remarkable culinary creativity. Her work should be being displayed in a museum. But I can't resist--and it disappears into my stomach.